Sidney welcomes Modo as the first carshare in the region! The Town of Sidney is providing more sustainable transportation options to residents, businesses and municipal staff through the addition of carsharing, in collaboration with Modo! 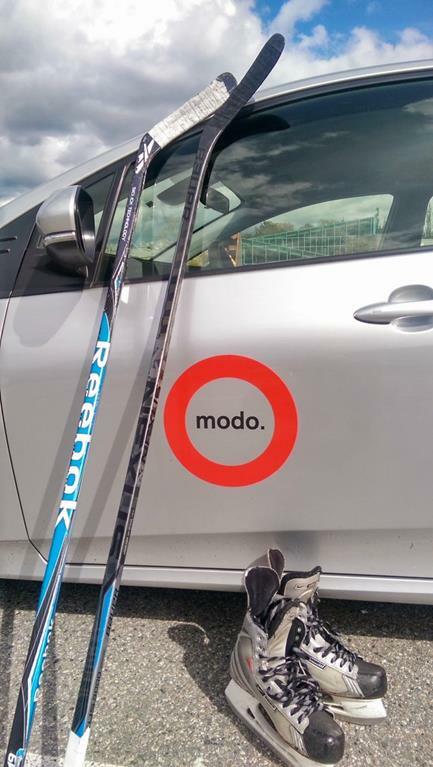 Officially launched on June 1, Modo's latest locations in Sidney provide a Toyota RAV4 hybrid electric and fuel-efficient Honda Fit for members and municipal staff to book and share. The cars are conveniently located on Fourth Street next to the Town Hall parking lot, and on Third Street, between Beacon and Sidney Avenues, by the entrance to the Third Street parking lot. Photo: Sidney’s Acting Mayor Cam McLennan (Peninsula News Review). Tips From the Co-operators: Headed on holidays? NEW LOCATION at Oak Bay Rec Centre. A 2009 blue Nissan Versa (#1001) lives at 1950 Bee Street, across from Oak Bay Rec Centre. MORE CARS at Campus Security. A 2017 white Toyota Prius V (#879) has joined the 2010 Toyota Corolla. NEW LOCATION at Gorge Washington. A 2017 white Hyundai Elantra (#939) now lives behind 243 Gorge Road East. Turn south from Gorge onto Washington Avenue and take the first left – then turn right up the ramp and left at the top. Our stall is straight ahead in #11. Car Change at Dominion Rocket. A 2017 white Hyundai Elantra (#945) has replaced the 2015 Toyota Prius C.
TEMPORARY CAR CHANGE at Jubilee Ave. A 2009 purple Pontiac Vibe (#1002) has temporarily replaced the 2014 Nissan Versa Note while the latter is being repaired. Our first cars in Sidney! NEW LOCATION at Sidney Fire Hall. A 2017 white Honda Fit (#1011) now lives in a designated stall on 3 Street, between Beacon Avenue and Sidney Avenue, just south of the entrance to the Town of Sidney parking lot (and about 50 metres south of the fire hall). NEW LOCATION at Sidney Town Hall. A 2017 Toyota RAV4 Hybrid (#1016) now lives in a designated stall on 4 Street, between Sidney Avenue and Mount Baker Avenue, just south of the driveway to the Municipal Hall. Look for the green pavement. CAR CHANGE at Edmonds SkyTrain. You can now find a 2017 white Toyota Prius C (#931) next to the Nissan Juke. FLOATER CAR at MacPherson Walk. A 2017 white Hyundai Elantra (#946) has temporarily joined the 2015 Fiat 500. There will likely be multiple cars at this location throughout the summer. NEW LOCATION at Royal Oak Safeway. A 2017 white Hyundai Elantra (#915) now lives in the Safeway parking lot at the intersection of Royal Oak Avenue and Kingsway. Our car is parked in a designated stall near the entrance facing Kingsway. Look for the Modo sign. MORE CARS at SFU CentraBlock. A 2017 red Hyundai Tucson (#923) has joined the Honda Fit. NEW LOCATION at Richmond Hospital. A 2017 red Hyundai Tucson (#888) now lives just south of the Richmond Hospital Emergency entrance, next to the driveway from Gilbert Road. Our car is parked in stall #446, the third one on your right, just before entering the parkade. UPGRADE at Surrey Central SkyTrain. A 2017 white Toyota Prius (#875) has replaced the 2008 Prius. NEW LOCATION at Acadia Commons Block. A 2017 red Hyundai Tucson (#948) now lives in the parking lot behind the Acadia Commons Block. All vehicle access is from Acadia Road, via either Fairview Place or Melfa Road. NEW LOCATION at Rose Garden Parkade. A 2017 white Hyundai Elantra (#916) now lives inside the UBC Rose Garden parkade at 6278 Northwest Marine Drive. Walk into the vehicle entry, and our stall is the fifth stall on the right. NEW LOCATION at Bayshore & Cardero. A 2017 red Hyundai Tucson (#949) now lives in the Metro Parking lot at 588 Cardero Street. Our car is located in stall #71. Please note that this parkade is locked overnight and cannot be accessed by foot between 1am and 6am. NEW LOCATION at Eveleigh. A 2017 red Hyundai Tucson (#951) lives in the WestPark lot on Eveleigh Street at Bentall Centre - between Melville Street and Pender Street, just east of Thurlow Street. NEW LOCATION at 1067 Seymour. A 2017 red Hyundai Tucson (#882) now lives in the EasyPark lot at 1067 Seymour Street, between Helmcken Street and Nelson Street. This is an underground parkade; the entrance is to your left about a third of the way down the block. MORE CARS at Modo Office Parkade. A 2017 white Honda Fit (#933) has temporarily joined the 2015 Mazda 3. MORE CARS and LOCATION MOVE at Telus Garden. Where we formerly had four cars at the Telus Garden Office Tower, we now have three at the Office Tower plus three more at Telus Garden Residences. Both parkades open onto Richards Street, in the block between Georgia Street and Robson Street. At the Telus Garden Office Tower — closer to Georgia Street, near the start of the block — you can now find a 2015 red Fiat 500 Abarth (#586), a 2015 blue Mazda 3 Sport (#592), and a 2017 white Hyundai Elantra (#920). At the Telus Garden Residences — closer to Robson Street, near the end of the block — you can now find a 2016 white BMW X1 (#777, premium car), a 2015 grey Fiat 500 (#779), and a 2017 white Honda Fit (#936). MORE CARS at VCC Downtown. A 2014 blue Nissan Versa Note (#485) and a 2017 white Honda Fit (#909) have joined the 2008 Ford Ranger and 2015 Toyota Sienna. LOCATION CHANGE at Atira. Our 2016 white Honda Fit (#855) and 2016 blue Toyota RAV4 Hybrid (#822) have moved across the street from InGastown, and now live at the EasyPark at 107 East Cordova Street, just east of Columbia Street. Our stalls are straight ahead as you enter. UPGRADE at City Square. A 2017 red Hyundai Tucson (#888) has replaced the 2011 Nissan Juke, and now lives next to the 2017 Honda Fit. NEW LOCATION at W 15th & Granville. A 2017 white Hyundai Elantra (#914) now lives in a designated stall on West 15th Avenue, in the 1400 block between Granville Street and Marpole Avenue. MORE CARS at Olympic Village SkyTrain. A 2017 white Hyundai Elantra (#919) has joined the 2015 Ram Promaster, 2015 Scion FR-S, and 2017 Honda Fit. CAR CHANGE at Lakewood & E 8th. A 2012 blue Dodge Journey (#504) has replaced the orange Journey. UPGRADE at E-Comm. A 2017 white Honda Fit (#911) has replaced the 2014 Nissan Versa Note, because where else could we possibly put car #911? NEW LOCATION at Kamloops & Broadway. A 2017 white Hyundai Elantra (#918) now lives in the 2400 block of Kamloops Street, between East Broadway and East 8th Avenue. Park as close to Broadway as possible. NEW LOCATION at Kaslo & Charles. A 2014 blue Nissan Versa Note (#485) now lives on the west side of Kaslo Street, just south of Charles Street. Please park beside 2796 Charles Street. MORE CARS at E 10th & Commercial. A 2017 white Hyundai Elantra (#917) has joined the 2016 Toyota Prius C.
NEW LOCATION at Red Alder Trail. Our first car in Champlain Heights! A 2012 grey Dodge Journey (#441) now lives on the east side of Matheson Crescent, between Naples Way (on the east) and Lynmoor Place (on the west). Park as close as possible to Naples—typically this will be close to the Red Alder Trail pedestrian path. UPGRADE at W 1st & Yew. A 2017 red Hyundai Tucson (#887) has replaced the 2012 Dodge Journey. UPGRADE at Carolina. A 2017 white Hyundai Elantra (#940) has replaced the 2013 Dodge Avenger. UPGRADE at City Hall - Cambie & 12th Ave. A 2017 white Honda Fit (#907) has replaced the 2011 Mazda 2. UPGRADE at City Hall Surface Lot. A 2017 white Nissan Frontier (#871) and 2011 blue Mazda 2 (#360) have replaced the 2010 Ford Ranger and 2010 Nissan Cube. MORE CARS at E 5th & Scotia. A 2017 white Honda Fit (#935) has temporarily joined the 2016 Kia Sedona. UPGRADE at Kingsgate Mall. A 2017 white Hyundai Elantra (#944) has replaced the 2013 Dodge Avenger. CAR CHANGE at Slocan & Vanness. A 2017 silver Toyota Corolla (#876) has replaced the temporary cargo van on Slocan Street at Vanness Avenue. This is our permanent Slocan & Vanness car, but we’re still waiting for our permanent parking spot. TEMPORARY CARGO VAN at Wall Centre Central Park. For the next few weeks, our floating Nissan NV200 cargo van (#902) will be joining the RAV4 Hybrid, Fit and Prius near the corner of Vanness Avenue & Boundary Road. UPGRADE at Charles Tupper Field. A 2017 white Honda Fit (#932) has replaced the 2008 Toyota Yaris. CAR CHANGE at Lord Strathcona. A 2013 white Dodge Grand Caravan (#571) has replaced the 2012 silver Grand Caravan. UPGRADE at English Bay. A 2017 white Honda Fit (#908) has replaced the 2014 Nissan Versa Note, and now lives next to the 2016 Toyota Prius C.
MORE CARS at Esticana. A 2017 red Toyota Prius C (#930) has joined the 2015 Nissan Versa Note. MORE CARS at Lyncroft. A 2017 white Hyundai Elantra (#922) has joined the Grand Caravan. UPGRADE at Stanley Park Tennis Courts. A 2017 white Kia Sedona (#910) has replaced the 2014 Dodge Grand Caravan. UPGRADE at Bellevue Towers. A 2017 white Honda Fit (#934) has replaced the 2009 Toyota Yaris. NEW LOCATION at Expo Boulevard. A 2017 red Hyundai Tucson (#880) and 2017 white Honda Fit (#934) now live in the WestPark lot at 1050 Expo Boulevard. Our cars are parked in stalls #1 and #2. Our partners at The Co-operators are experts when it comes to insurance. Our Tips from The Co-operators series explains insurance topics and provide safety advice for Modo members on the road, travelling and at home. This month, the Co-operators share how to keep your home safe when you're away! Modo Ambassador Emma Gilchrist booked a Modo to get to the Garden Centre and prep her pation for warmer days spent outside! Staff Tip: Trucks and cargo vans are not covered under CLDI coverage. Enrol in our Damage Pool to avoid paying a damage fee. "For my lifestyle and for where I live, I love the convenience and the economy of the Nanaimo Modo cars and have done so through all it’s various renditions for the past 16 years. I plan to keep on using this awesome service for many years to come!" 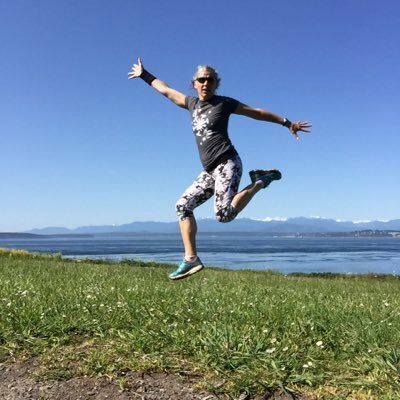 Denise Bonin, fitness trainer and blogger, is a former Nanaimo CarShare members who recently transitioned to a Modo membership, enjoying the four new Modo locations in Nanaimo. Learn about her carsharing story on the island! 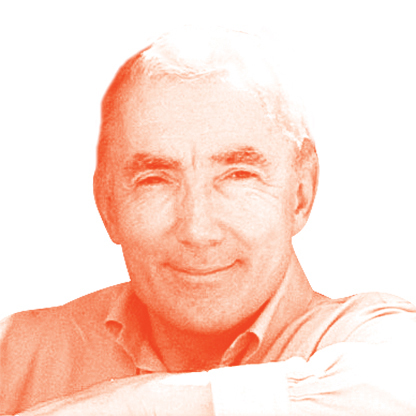 Modo's CEO Patrick Nangle shares his learnings on the industry and the future of carsharing in his guest column on our blog. As one of the speakers and attendees of the Carsharing Association's Annual Conference in Montreal two weeks ago, he has some interesting conference takeaways to share! We're committed to providing great service from the moment you join. 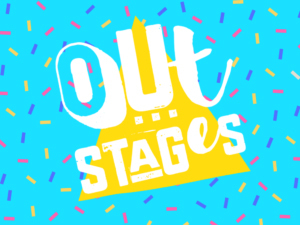 Tell us how we're did in our June Quick Poll! >> NO TRANSIT? No problem! Ambassador Keane took one of our Prius hybrids to the ice rink. 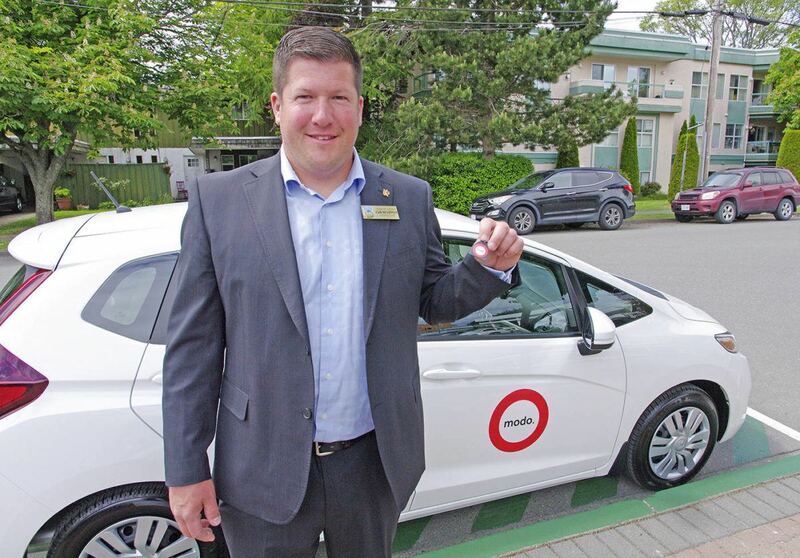 >> 50 CARS We've placed our 50th car in Victoria on June 6th, a Hyundai Elantra, with Gorge Washington. >> TAKEOVER Modo Member Markus is sharing his BC roadtrip, making use of the free Canada 150 Parks Pass. More on Instagram. >> CTV NEWS "Carsharing is the future!" says Kerri Milton, Executive Director of the Downtown Victoria Business Association. Watch the video. >> BIKE TO WORK Our Business Members at HUB Cycling use Modo minivans to set up for the Bike to Work Week Celebration stations! >> COMMUTER CHALLENGE Does your team bike, walk or carshare to work? You can still join the BEST Commuter Challenge (ending June 10th) and enter for great prizes. Get involved! >> COOP SPIRIT Our members helped us move two new Hyundai Elantra to Victoria! Check our social media channels for car moves coming up. 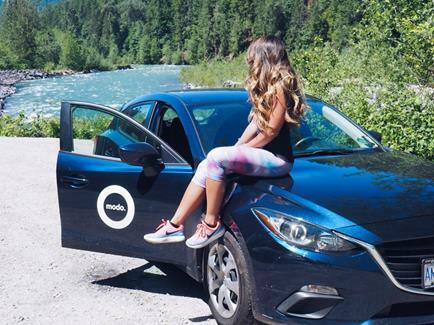 >> FERRY CONVENIENT Check our list of six Modo cars located at the main ferry terminals Horseshoe Bay, Tsawwassen, Swartz Bay and Departure Bay and learn about the new Coast car Co-op car at Langdale and how to access it. >> MEMBER PARKING Modo members enjoy parking perks at these stores and local mountains listed on our page. The free six-day family friendly community festival will be taking place at different pop-up location around the downtown core! Modo is a proud supporter of the event. Sign up to volunteer with the DVBA team here.